A Friday Night Fiddle Club this week! Some tunes from Bruce on an earlier post below were played slow. These, played fast, are from Bruce’s last visit to the Old Town School in 1996. Go here to register for this meeting – $15. Be aware the new yearly dues option may appear on this page any day now. 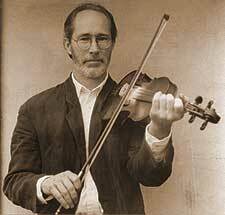 Also, Bruce will be giving a workshop on Eastern Kentucky fiddle tunes on Saturday at the Old Town School. Click here to register. PS. There are more of Bruce’s tunes on my website–drdosido.net–that you might enjoy. 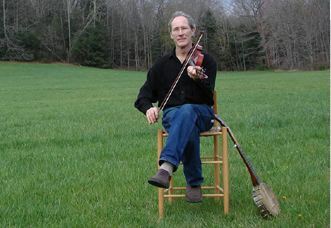 Some were recorded at informal sessions; others from the annual Fiddlers Reunion held at the Adler Cultural Center in Libertyville in the 1990s. Lots o’ fun coming our way. And beginning this week (say April 12), you should be able to sign up for a year’s worth of Fiddle Club meetings for a mere $60. Single meeting dues are $15, when there is a featured guest. Here is the link to register for a meeting. They are listed by date. Scroll through the workshop listings for descriptions. An earlier post has a couple of tunes to learn for the jam session. * To be a member, come to a Fiddle Club event. Yearly dues are $60. Single meeting dues are $15 when we have a special guest. There are no dues for other meetings at which we just play tunes or watch films. We appreciate your support. Good fortune brings Bruce Greene to us in a few weeks. A sublime player, Bruce learned from senior players in Central and Eastern Kentucky back during his student days in the early 1970s. He deserves credit for discovering many of the old masters we cherish–such as John Salyer and Isham Monday–and for recording and disseminating some of our favorite tunes, like “Jeff Sturgeon,” “Betty Baker” and “The Lost Girl.” This is his first trip to the Old Town School since 1996, when he visited the Old-Time Ensemble. Click the picture to see the Bruce’s entry in the Old-Time Fiddlers Hall of Fame. Here are some tunes to learn before April 15.